A Virgin Mary Barbie doll? 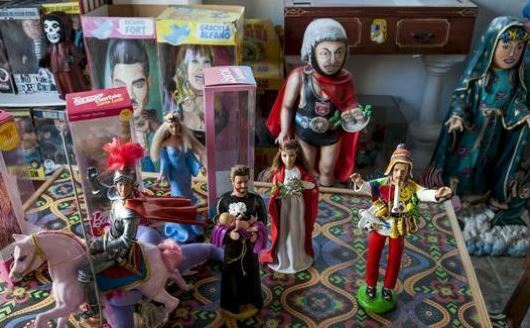 BUENOS AIRES, Argentina – Barbie has long been an icon, just not a holy one. A provocative art exhibit featuring Barbie fashion dolls as religious figures such as the Virgin Mary and her boyfriend Ken as a crucified Jesus Christ has been canceled amid complaints and threats by angry believers, the artists behind the collection said Friday.